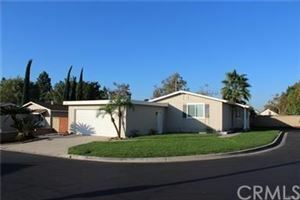 Welcome to your new home in Yorba Linda. 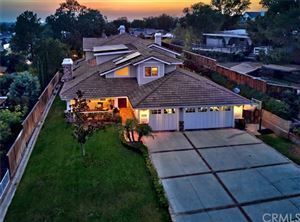 Please search for your dream home via our Yorba Linda MLS listings and let us know how we can help. Yorba Linda ("Beautiful Yorba", in English) is a suburban city in Orange County, California, approximately 13 miles (21 km) northeast of Downtown Santa Ana and 37 miles (60 km) southeast of Downtown Los Angeles. Its most famous resident was Richard Nixon, who was born there, although his father moved the family away before Yorba Linda incorporated. The Richard Nixon Presidential Library and Museum is in Yorba Linda. In 2005, CNN ranked Yorba Linda 21st among the best places in the U.S. to live. In 2012, Yorba Linda was ranked 42nd on Money magazine's list of America's best small cities. Similarly, in an article by CNN Money, Yorba Linda was one of the richest U.S. cities and the richest in Orange County as reported by the Census data, showing a median household income of more than $120K: "Among towns of between 65,000 and 250,000 in population, Yorba Linda, California, where six-ﬁgure incomes are the rule, had the highest median income at $121,075". 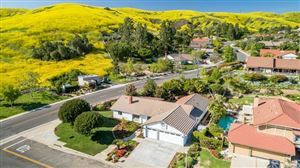 Yorba Linda has been identiﬁed as one of the richest cities in the U.S. by the U.S. Census Bureau, which shows a median household income of $121,075, higher than any other city in 2006. A favorite of Orange County Golfers, the public golf course designed by Arthur Hills stretches up to 6756 challenging yards and incorporates several water features including a stunning waterfall off the 18th green, slight elevation changes, rolling hills, strategic bunkering and the incredible vistas overlooking coastal Orange & Los Angeles Counties, including portions of the Newport Beach Coast, and Catalina Island. The key to owning a suitable house in the Yorba Linda real estate realm is in selecting an asset and choosing a property that truly has the features and the promise of a long-term investment potential. Gerry Goodman has been working with buyers and sellers in Yorba Linda CA real estate for over 25 years and would love to discuss your interest in owning a fabulous house in the Yorba Linda area. 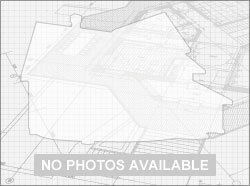 Login to view our Yorba Linda MLS listings. © 2019 Gerry Goodman Real Estate Services. All Rights Reserved.